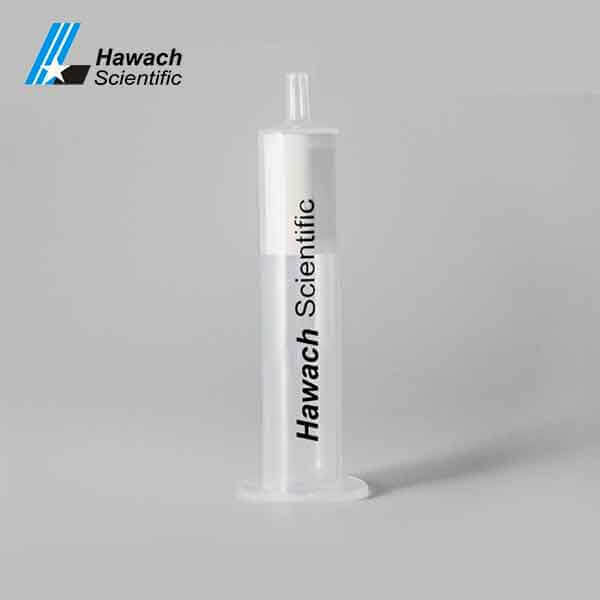 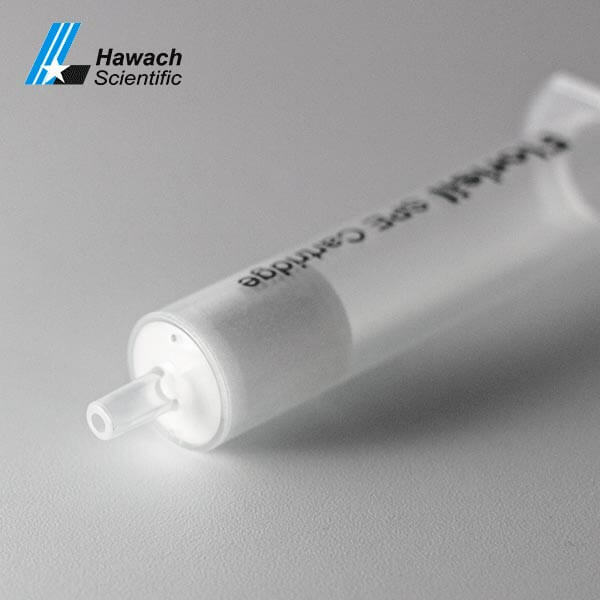 Hawach Mixed Mode C8 SAX SPE Cartridges are a hybrid SPE cartridge. 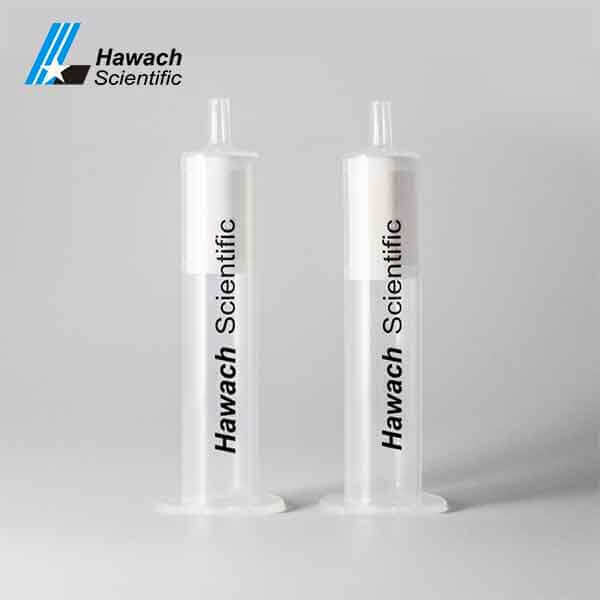 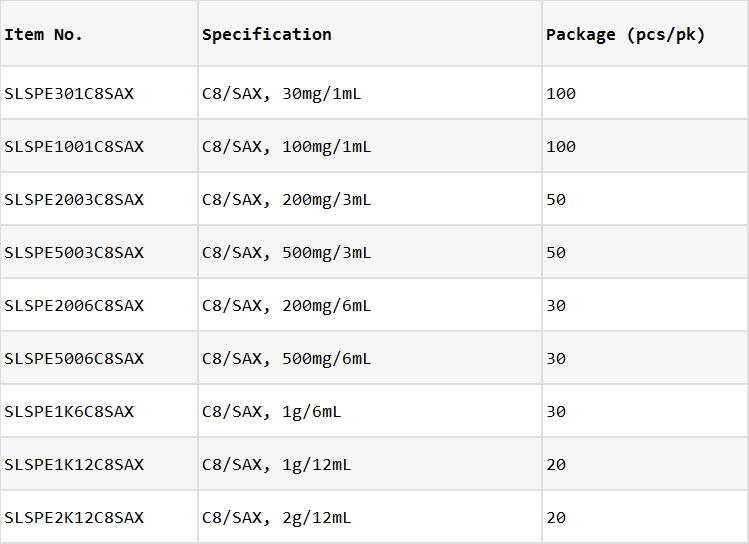 Mixed Mode C8 SAX SPE Cartridges with silica gel as the matrix of C8 and strong anion exchange(SAX) extraction column(C8/SAX). 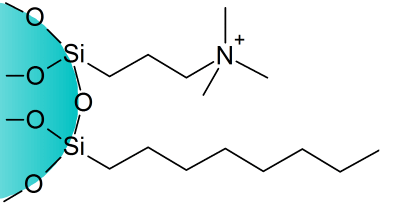 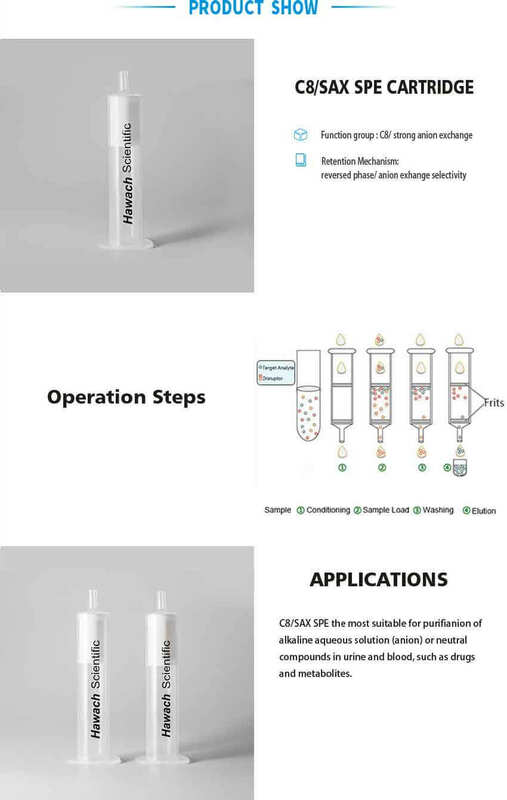 Purification of alkaline aqueous solution(anion) or neutral compounds in urine and blood, such as drugs and metabolites.